Israel relays message to Gaza terror group: Elections or not, military campaign is an option. Israel's message was: "Warn Hamas – elections will not prevent a military campaign." This, according to Channel 2 news. 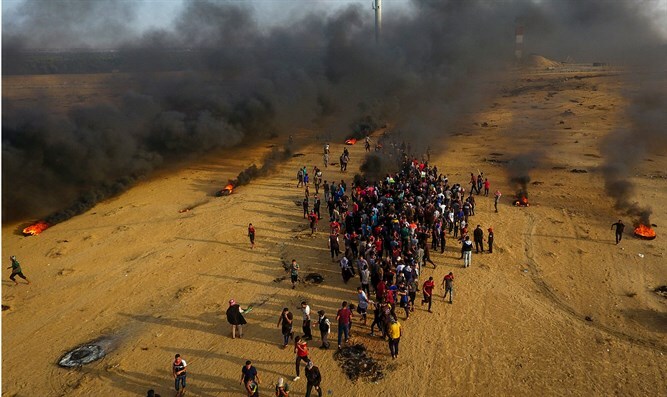 The head of the charity committee of Hamas, Ahmad Kurd, announced that the Gaza government will distribute compensation money to about 4,000 of the rioters who were hurt in confrontations with Israel. Channel 2 News reported that the payments will be made through banks in Gaza. The Arabs reported yesterday that at least 32 people were wounded by IDF fire, in the 45th consecutive week of riots along the border with Israel. About 10,000 people rioted for several hours in several locations, throwing IEDs, hand grenades and rocks at IDF soldiers.